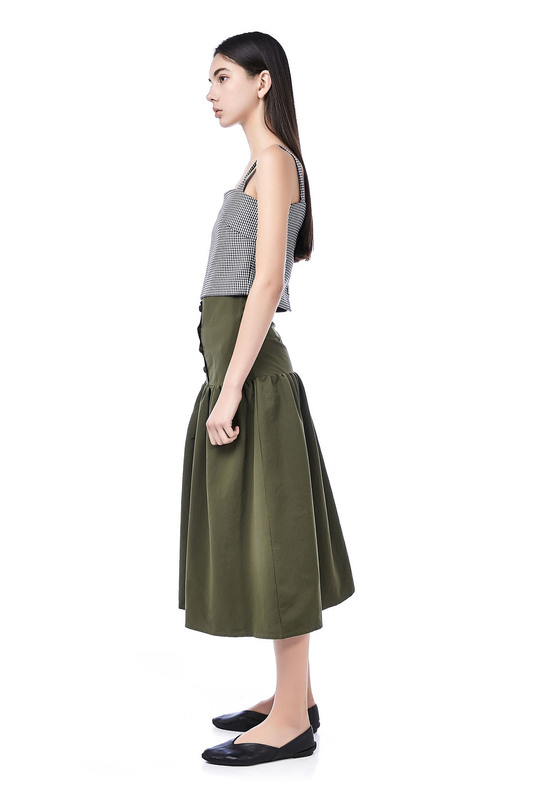 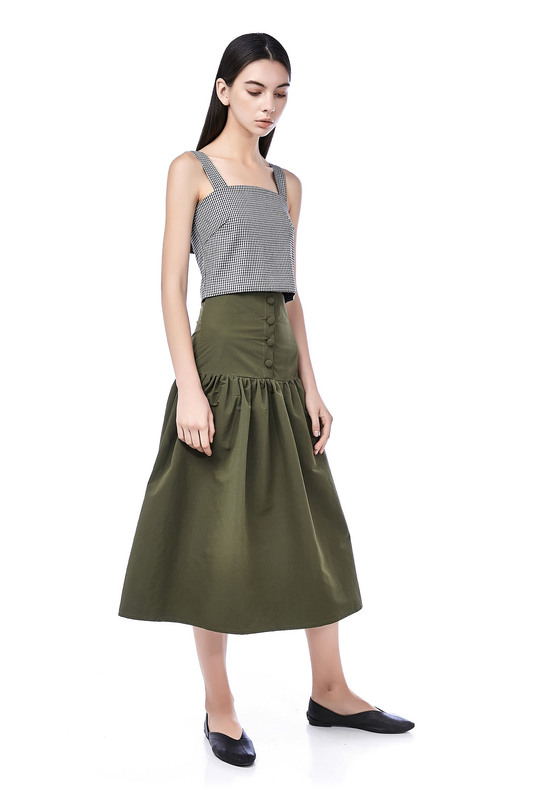 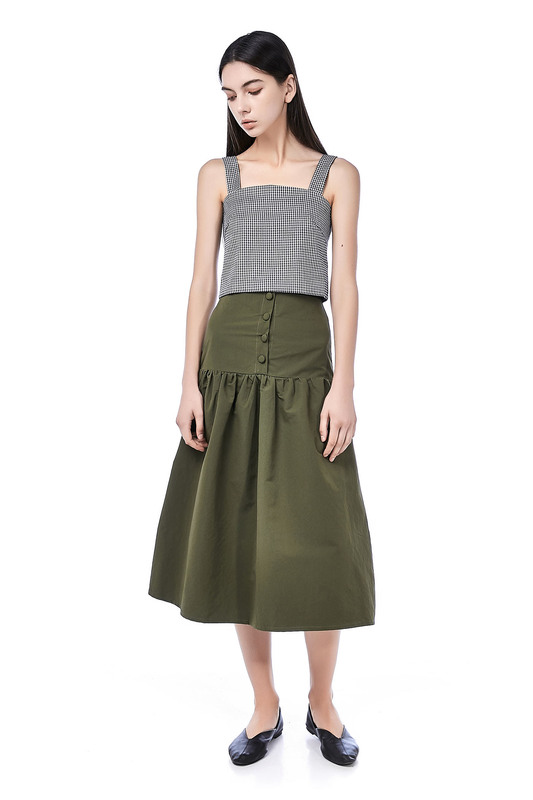 This midi skirt is made from cotton polyester. 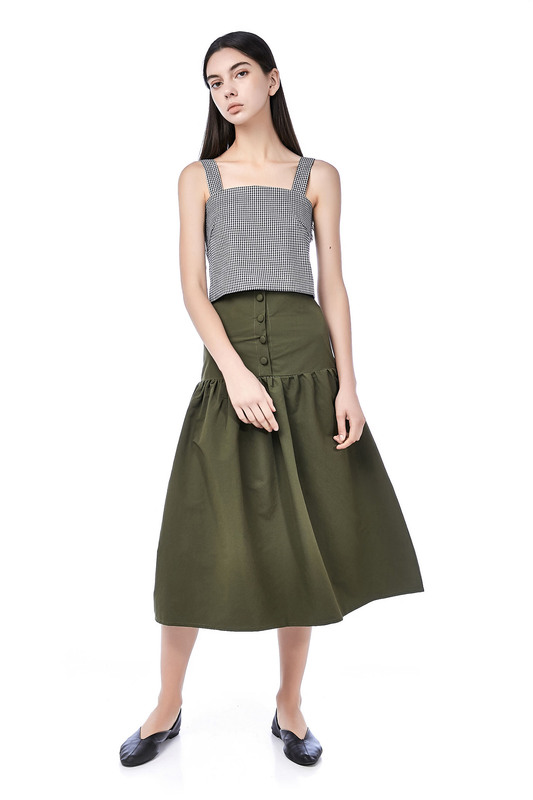 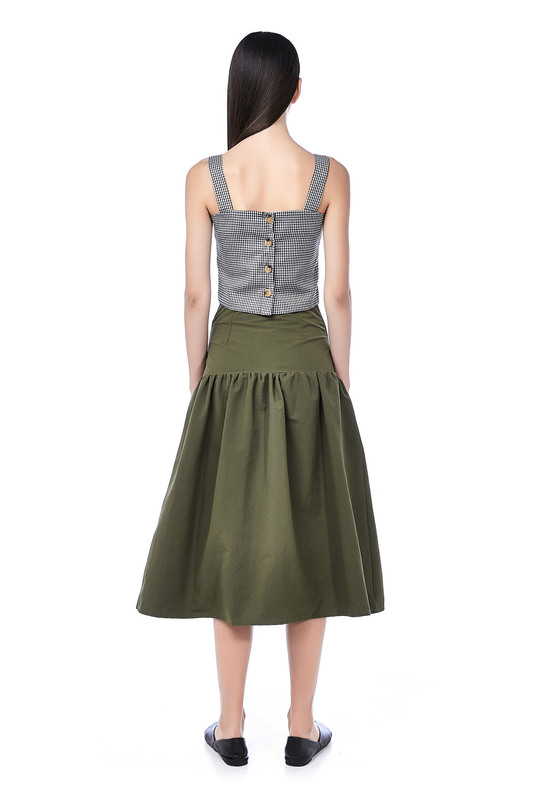 It is high-waisted featuring functional button detail on the front with a full flare skirt. 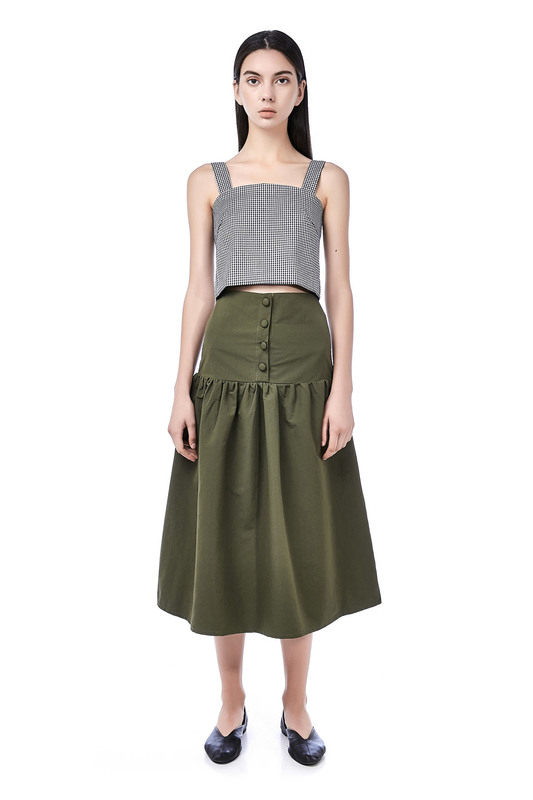 HIPS 33" 35" 37" 38"
LENGTH 31.5" 32" 33" 33"